At Progressive Chiropractic the first step in becoming the best Chiropractic office in Virginia Beach is having the best staff. We believe in that principle, which is why each of our staff is highly trained to make every visit the most effective, efficient and relaxing experience possible! Microbiology, General Anatomy , Neurology, Osteology, Disease Pathology, Exercise Physiology, Neuro-Muscular Physiology, Biomechanics, Orthopedic Diagnosis, Neurological Diagnosis, Immunology & Disease, Obstetrics & Gynecology, Geriatrics& Pediatric Assessment, X-Ray Physics, X-Ray Pathology, Nutrition. After graduating in 1999 Dr. Ranzette moved to Virginia Beach to start his own practice. 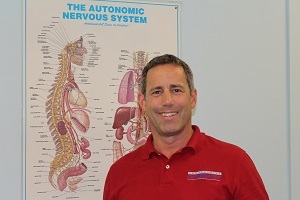 Dr. Ranzette has worked tirelessly in refining and expanding his treatment protocols in an effort to make Progressive Chiropractic the best Chiropractic office in Virginia Beach. As a practicing Doctor, Dr. Ranzette has attended numerous post-graduate seminars on a variety of health topics. It is this continuing education that allows Dr. Ranzette to provide his patients with the latest and most comprehensive treatment available.